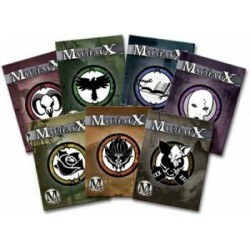 This starter set contains everything you need to learn and start playing Malifaux! Pit the forces of the mysterious Angel Eyes against the diabolical Dr. Grimwell in a series of starter games which teach you as you play. If you are new to Malifaux and want to know more, this box is for you. In addition to being a good starting point, every model has the "mercenary" characteristic, allowing you to use them with whichever Faction you decide on. Even if you're experienced with Malifaux, you may be interested in the brand new models for the Guild and Neverborn Factions this set contains.